Looking for something to do for this 4th of July Holiday? Here is a great list of some of the fun events going on around the Bay Area! Saturday, July 4. Parade at 10 a.m. is one of the longest Independence Day parades in the nation with over 170 floats and 2,500 participants. No fireworks. Saturday, July 4. Pancake Breakfast from 7:00am-11:00am, Children’s parade at 10:00am followed by music in Memorial Park until noon. No fireworks. Saturday, July 4. Parade through downtown starting at 10:00am No fireworks. Saturday, July 4. All-You-Can-Eat BBQ served in South County Picnic Grove at Gilroy Gardens. Saturday, July 4. Parade on Main Street at Noon. No fireworks. Saturday, July 4. Fireworks at dark at Healdsburg High School football field. Saturday, July 4th. Hollister Freedom Rally. A 3-day Weekend Event with live music on two stages + Fireworks display at dusk in field adjacent to Marguerite Maze Middle School. Saturday, July 4th. Community celebration with food & music at Oak Meadow Park from 11:00am – 4:30pm No fireworks. Saturday, July 4. Parade & Celebration starting at 11:45am followed by food, games and music in Burgess Park. No Fireworks. Saturday, July 4. Award-winning parade in downtown at 10:00am. + Car Cruise ‘n Show and Walk/Run events. Nighttime fireworks at at Outdoor Sports Center. Saturday, July 4. San Francisco Symphony performs at Shoreline Amphitheater at 8 p.m. with Fireworks at dark. * Friday, July 3. Fireworks after the Oakland A’s vs Mariners night game – Salute to Armed Forces Fireworks, Sport Clips Charity Cuts, Authentic Fan Friday concludes at the O.co Coliseum. Saturday, July 4. Summer festival and chili cook-off at Mitchell Park from Noon to 5:00pm. No fireworks. Saturday, July 4. Downtown Parade, Festival & Fireworks at the Port – Free all-day festival featuring a breakfast, parade, carnival, car show and concert. A fireworks show concludes the holiday at approximately 9:30pm. Saturday, July 4. Rose, White & Blue Parade at 10:00am followed by entertainment and good things to eat, all at The Alameda. No fireworks. Get More Info*Saturday, July 4. Enjoy a Postgame Fireworks after the game at Municipal Stadium. *Saturday, July 4th. Free, world-class fireworks return to downtown San Jose! APPROX. 9:30PM, at Discovery Meadow, thanks to Rotary. Friday, July 3 and Saturday, July 4. 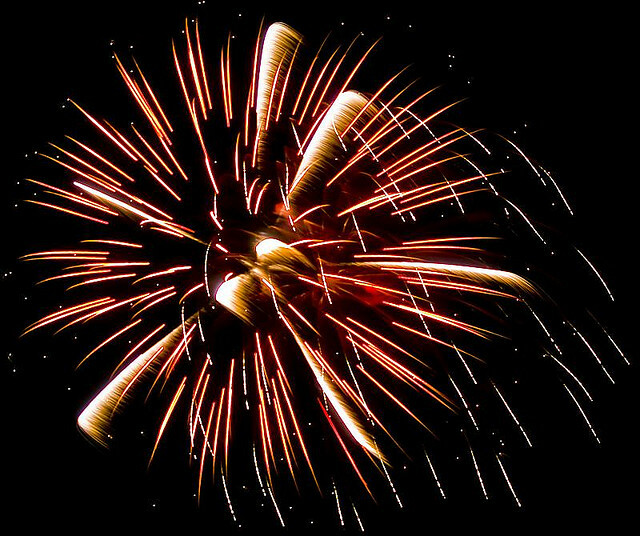 Fireworks start about 9:00pm on Friday. Get an early start on Saturday with an 8:30am foootrace & parade at 10:00am in the Highlands neighborhood. &Saturday, July 4. Live music and food at Central Park starting at 12Noon to 10:00pm.Fireworks at 9:30pm. *Saturday, July 4 California’s Great America presents Ignite The Night Fireworks Spectacular. Saturday, July 4. Parade and music are part of a morning-long community celebration at Kevin Moran Park. No fireworks. ← Just Sold! $25,000 over the asking price with multiple offers!